Strawberry Shortcake is just as sweet as ever in her new feature Strawberry Shortcake: Berry Tales. I love how the cartoon help uplift our children and teaches them valuable lessons like believing in themselves, kindness and generosity. 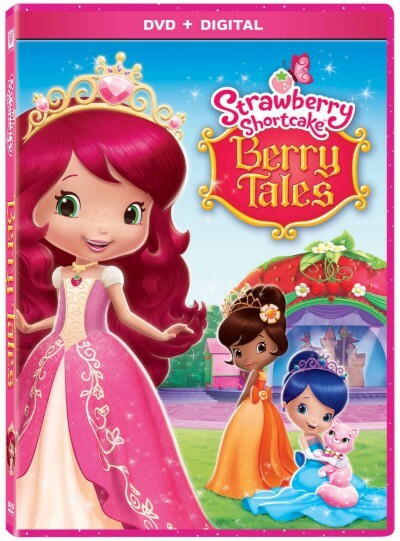 Win it: One lucky reader will win a Strawberry Shortcake: Berry Tales DVD. This giveaway will end August 27th at 11:59 PM EST. The winner will have 48 hours to respond to my email. If no response, a new winner will be chosen. Prize fulfillment will be made by the sponsor, I am not responsible for prize delivery or lost or stolen deliveries. Open to residents of the US. I would love to win this for my friends daughter she gets so excited when I bring her small gifts. I would love to win this for my granddaughter. She loves Strawberry Shortcake. I would like to win this for my goddaughter. I would like to win this for my 4 year old daughter. She would love this a lot! I hope to win this for my 2 great nieces who are 2 1/2 & 1 year old. I know the oldest loves Strawberry Shortcake. Thank you so much for the chance to win Stacy. I would like to win it for my daughter. She loves strawberry shortcake.